How can parents help Dunbar PS in 2017/2018? 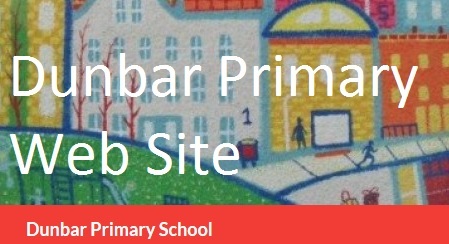 The main way that the wider Parent Forum supports Dunbar PS is by parents, grandparents and carers helping throughout the school, so that pupils can get to do lots of activities, that without these extra adults, simply couldn’t happen. The huge variety of work undertaken by volunteer parents within the school makes significant and genuine differences to pupils, their families and the wider community, as well as the school. The Parent Council would like to build on this great work and to rise to the challenge of supporting the two campuses by encouraging more parents to get more actively involved. If you are interested in helping with any of the following, please contact the School Offices. With all of these volunteer roles within the school, the rotas are really flexible, so please get involved even if you can only help once a fortnight, month or whatever else you can manage! Snack trolley for the 2 campuses: To prepare fruit, cheese, biscuits & other snacks AND / OR sell these to pupils at morning break. Required between 9.45-11.30am, ideally once a week, or could be fortnightly or monthly. Due to your fabulous response to appeals for helpers for the Snack Trolley, we now have nearly enough people for this to operate in both campuses but due to the demand, we could do with more helpers to speed up the queue times! Library Rota: URGENTLY NEEDS VOLUNTEERS. Required for 1 hour, ideally once a week, fortnightly, or monthly. The two Libraries desperately need more volunteers so that every class will have an adult to help them find and choose books, check books out and return them. Library Book Coders: To work in the libraries at a time that suits you to code library books, using the website book finder. Training will be provided. Reading Focus Sessions: Supporting P1-3 classes, working with small groups within a class on reading and support activities e.g. games. To come in 1 or 2 times a week for 45 minutes for 6-8 weeks only, during, January for P2s & after Easter for P1s. Training will be provided. Dunbar Reads: To support a specific P4-P7 child, using shared reading, ideally 2-3 times per week for approx. 45 minutes. Training will be provided. Cycle Training: With so many young cyclists around the school has built Bikeability lessons (formerly Cycling Proficiency) into the school curriculum for all P6 pupils. The lessons are delivered in the playground and on quiet roads by parents with the support of the class teachers. Training is provided. Resource Makers: To prepare (cut out, colour, laminate etc.) resources for Maths Boxes, Reading Focus games, Active Learning materials etc. Gardening Club: To help the existing group of 3 parents to work with P5-P7 pupils in the school gardens or to help other volunteers on general maintenance gardening. Forest School: To accompany a class or smaller groups of pupils walking to Lochend Woods or the beach. Required once a week (duration 1-2 hours) for 6 weeks only. Dunbar Public Library visits: To accompany a class or smaller groups of Nursery pupils on visits to Dunbar Library. Required for 1-2 hours on specific dates. Dunbar Swimming Pool sessions: To accompany groups from P4 classes walking to pool for swimming classes. Required on Thursday mornings for 1-2 hours. Chess Club: No knowledge needed! To oversee small groups of pupils that run this club themselves. Don’t be put off if you can only help out occasionally – it all counts and helps the school to run well!